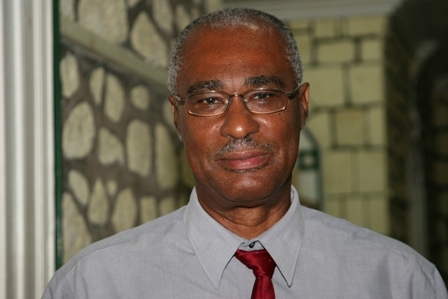 Charlestown, Nevis–(Tuesday, June 28th, 2011) “The start of the objections to registered voters on Nevis in the present election cycle was started by the Concerned Citizens Movement (CCM),” Premier of Nevis, the Hon. Joseph Parry said during an interview with popular radio host, Toni Fredericks of Winn FM Monday. According to Premier Parry, the CCM objected to persons they considered to be wrongly registered, and preceded to the courts when some objections were denied by electoral officials. The Premier noted that when the CCM began to object to mostly known NRP supporters in large numbers, the Nevis Reformation Party (NRP) list managers got involved in the process. During the interview, Ms. Fredericks asked the Premier about the status of the Opposition Leader, the Hon. Vance Amory in relation to his status on the voter’s registration list. “As far as I know Mr. Amory is politically alive and well. He will be a candidate in the upcoming elections, and he is and always has been on the voters list,” said the Premier. The Premier said that he would not entertain any propaganda during the interview and would rather deal with essential issues. He admonished that the media houses in the Federation have a duty to the people to report on the facts of the Electoral process, and they must do so responsibly. “I think the media has a responsibility to find out what the truth is, and I do believe the Electoral Office has conducted itself well in the face of several vicious attacks,” commented Premier Parry. The Premier went on to say that the Nevis Reformation Party (NRP) of which he is the leader, has faced some adversity in the past when it was in opposition. “When the NRP was in Opposition we had gone to court with voter list issues, and the NRP lost the case. However, the NRP moved on and never caused confusion or chaos on the island, when we (the NRP) did not receive the results we wanted,” said the Premier. While talking about the recent issues of the Supervisor of Elections and the Electoral Commission, Premier Parry said that he always knew that there was a law set out on how elections should be conducted. He also commented that he knew that the Supervisor of Elections was guided solely by that law. “A lawyer who is a QC (Queen’s Counsel) has advised me that the law is still in place and the Supervisor of Elections is controlled by those laws,” the Premier said. Speaking to the issue of vandalizing election posters, Premier Parry advised supporters of both parties to respect each other’s party paraphernalia. He went on to say that Nevisians are a dignified people and the “nastiness” demonstrated by the young politicians, and their supporters need to stop. “If every Wednesday night a well known politician calls a government “moo moo” or say “they look ugly”, what is the message? “A message of disrespect,” said the Hon. Premier. The Premier concluded that people in certain positions, especially politicians, need to act more responsibly, otherwise, “what is the message that they are sending to the young people of the Federation?”, Premier Parry asked.